In this article I’m giving you my honest reviews on the best hair dryers. I have used each and every one of these hair dryers I’m going to tell you about. I have worked in salons for over 10 years, giving blowouts to my clients, and also blowing out my own hair on the days that I actually wash it. I have used and test an enormous amount of hair dryers and there is a difference in performance and results for each and every hair dry. 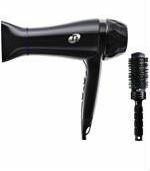 Whether you are looking for a high preference professional hair dryer, travel hair dryer, or a hair dryer that will simply get your hair dry with ease, I’m here to help you find the best hair dryer for blowouts. This is my number 1 favorite hair dryer right now. When you think of Ferrari, you think of beautiful luxury cars, not hair dyers. Here’s a new look in blow dryers. The Babyliss Pro V1 Volare is luxury in your hand. It is built with a Ferrari designed V12 engine. Your probably asking yourself, what does that mean? and who cares. An engine like this can last up to a 300% longer then a typical blow dryer motor. Provides a strong torque to allow for greater air pressure and a stronger airflow, allowing for a smoother blowout. I can dry my clients hair so fast they barely have time to dig into the latest gossip magazine. 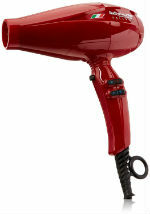 If your are looking for an amazing one of a kind professional hair dryer, with speed and style this one is for you. Amika styling tools and products are my new obsession. When you need to freshen your roots use Amika Perk Up Dry Shampoo, when you need to dry your hair reach for Amika’s power cloud hair dryer. One of the first blow drys to use both positive ion and negative ion technology. Have it on the positive ion setting to open your cuticle for deeper penetration of hair treatments when you heat them up. Also great for fine hair to add volume to a blowout. Switch it to the negative ion setting for a smooth, and shiny blowouts. How great is it to have a hair dryer that does it all. I have this blow dryer and love, love, love it. It’s light and easy to handle. Whether you are a professional hair stylist, holding your hair dryer for 10 hours a day, or a self taught hair queen, giving yourself a blowout at home, this professional blow dryer will help take the weight off your shoulders, and arms. Far-infrared heat will dry your hair from the inside out for faster drying time and healthier hair. This is by far one of the best hair driers I have ever used, and I have used it A LOT! Don’t let size fool you. 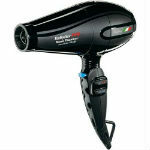 This Twinturbo hair dryer is a similar to my Twinturbo 3200. More compact, yet adding a extra punch of power. Lighter then other Twinturbos, it makes it easier to hold for long periods of time. I used this in the salon for many, many years and had all my clients needing to take one home. It’s great to go to the salon and treat yourself to a blowout, but when you give yourself a blowout at home you best equip yourself with the right tools to get the best results. 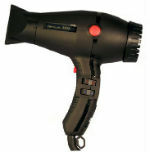 This T3 hair dryer was one of my first professional hair dryers I bought. It’s very light and easy to handle. Tourmaline + SoftAire technology will leave your hair healthy and soft. Producing negative ions, this blow dryer will help reduce static and frizz while sealing your cuticle giving you smooth, shiny blowouts. Awarded best blow dryer by Allure magazine in 2013, it’s still holding strong as being one of the best hair hair dryers for 2016. Included with this hair dryer is a 2.5″ tourmaline round brush, awesome for giving yourself big bouncy blowouts. Chi is known to have beautiful styling tools. I’m always pleased with the performance this hair dryer gives. A low EMF blow dryer, this CHI is made with Far Infrared and ceramic technology to allow for even heat distribution as well as producing negative ions which will add shine. All that awesome technology allows for faster drying time, reduces frizz, and locks out humidity. This is what makes a hair dryer one of the best. Let’s take traveling to a new level. Please put down the hotel hair dry. You’re asking for burnt, fried hair by using it. Instead pack this cute travel hair dryer. Has the same great technology as a full size Babyliss hair dryer. And bonus, you get a ½ inch plate flat iron. Sometimes when your travel to the tropics it’s nice to seal in your style with a quick swipe of a flat iron to lock out humidity after a quick blowout. Have beautiful blowouts all over the world since this a dual voltage hair dryer. Dual Voltage for worldwide use! Just likes it’s big sister you just read about this travel T3 hair dryer gives you all the power and technology as the T3 Featherweight Luxe Hair Dryer. Producing a high volume air flow with a gentle speed this will allow you to dry large sections of hair giving you frizz free, smooth results. 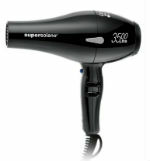 1200 watts makes this one of the strongest travel hair dryers. Quiet and lightweight, this makes a perfect travel companion. Doing a goggle search on ‘ best hair dryers for blowouts’ your website came up. I’m trying decided what’s the best hair dryer for natural African American hair (to get it really straight). I was told either Twin Turbo or Salano. Do you have insite on either. I’m so glad you you found my site. Your hair texture is one of my favorites to blowout, I love watching the transformation from curly to straight. I have both a Solano and Twin Turbo and love them. For you texture I would get the Twin Turbo 3500. It’s stronger than the Twin Turbo 3200. The 3500 has a stronger airflow which will help get your hair straighter, faster. Use the concentrator nozzle on the end of the hair dryer when you are blowing out your hair. Also make sure you are using a product that will protect your hair from heat, and help smooth it out. Oribe Royal Blowout, blowout spray is on the pricey side, but it works wonders on hair that you want to get super straight and fight frizz. I hope you love the hair dryer. I have had mine for almost 8 years and still use it almost every day. It will last you a while. Send me another message if you need anything else.